The one thing that has all of us reaching for products that will keep us looking forever young is the appearance of wrinkles. We all know that ageing is inevitable. We want to do it on our terms without wrinkles. The one thing that stands in our way is that, lack of information and knowledge about the process of ageing. Having the knowledge and information will help us manage the process and keep the dreaded wrinkles away. What happens when we begin to age? Our cells lose their ability to divide as much. The chromosomal ends in every cell get shorter and finally die. Expose our skin to forces like the sun, dirt, weather, bad habits. At that point in time we live by the adage, ‘Make hay while the sun shines’. The result, our skin bears the brunt of our carelessness. Preventive measures can help keep these signs off, but in our zeal to make the most of our time we forget to take those. What age does to our skin? Your skin becomes thin and transparent. Skin becomes less elastic because your sweat glands are unable enough sweat. The skin around the mouth begins to pucker. Your skin will begin to show sleep creases depending on the position you sleep in. Wrinkles: if you smoke you will have more wrinkles than non-smokers of the same age. Too much-unprotected exposure to the sun is the biggest cause of ageing. Continuous exposure to UV light damages elastin, this results in the skin sagging. In our youth, we fail to take note of this damage and as we grow older the effects hit us with full force. As our face is the most exposed part it is natural for the facial skin to show the effects first. Invest in a good sunscreen. As far as possible avoid exposure to the sun between 10:00 a.m. to 3:00 p.m.
Make sure to bring in these changes and along with that get Dermaturm from Bagdara Farms. You need to do it now before the signs become visible ( nip them in the bud). Dermaturm like all Bagdara products is 100% organic and has a high Curcumin content. It has been scientifically proven that Curcumin has potent anti-inflammatory and anti-oxidant properties which makes Dermaturm the perfect tool to kill free radicals that cause ageing. The curcumin in Dermaturm gives your skin the benefits comparable to Vitamin C & E. This happens because of the dynamic anti-oxidant property of Curcumin. The anti-oxidant action of Curcumin puts off the signs of ageing. The anti-inflammatory and anti-oxidant property of curcumin not only delays ageing but they also protect our skin from other health issues. With ageing the facial structure also changes along with the change in the structure of our eyelids Curcumin has a therapeutic effect when it comes to keeping such conditions under check. Do not let the fear of ageing stop you from enjoying life. You take the preventive measures and include Dermaturm as part of protection for your skin. 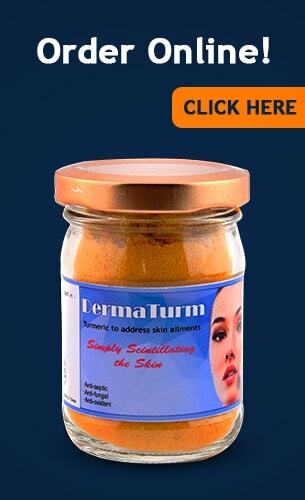 Let your skin glow with the radiance of youth with Dermaturm. 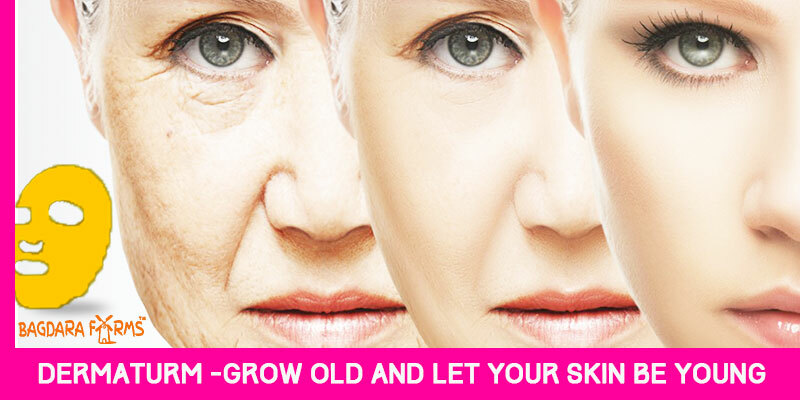 Grow old and let your skin be young.